On Monday September 22nd NoEL will visit Gunhild Soderstrom and Bitterleaf Menges on their island, Bifrost property of University of Southern Denmark (SDU). Cynthia M. Grund (alias Gunhild Soderstrom and Associate Professor of Philosophy at the University of Southern Denmark, SDU) and Jesper Pilegaard (alias Bitterleaf Menges and SL-Developer) will lead the NoEL group on a tour of Percipitopia and SDU-SL. SDU-SL is the virtually real campus of the University of Southern Denmark, of which Percipitopia is an extension. 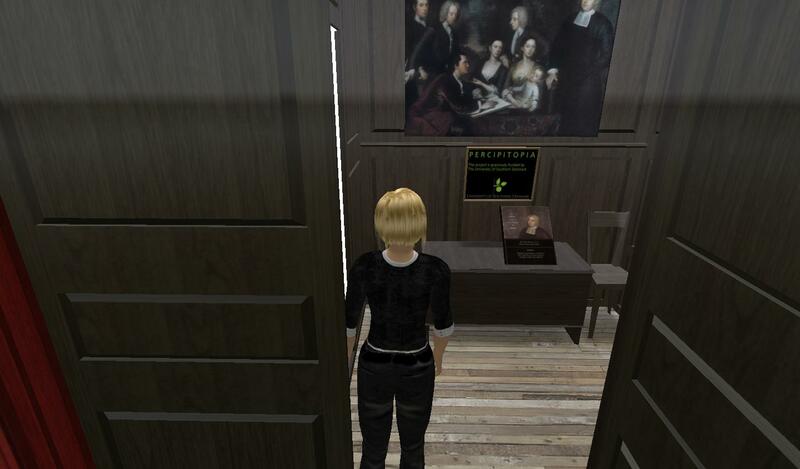 Percipitopia takes as its point of departure a “virtual Whitehall” in which visitors are introduced to the ideas of Irish philosopher George Berkeley, and from which further examination of philosophical issues and the history of philosophy is facilitated. The actual Whitehall was Berkeley’s American home 1729-1731, and now functions as a museum for his life and work. Berkeley (1685-1753) is best known for his doctrine of immaterialism, the view that the objects of perception have no extra-mental existence, that reality consists solely of perceivers and perceptions. While Scholar in Residence at Whitehall during July 2007 and July 2008, Cynthia M. Grund experienced firsthand the positive influence which authenticity of setting exerted when teaching visitors about Berkeley, his philosophy and the Enlightenment. Percipitopia is being developed cooperatively by Gunhild Soderstrom and Bitterleaf Menges. Percipitopia seeks to build upon Grund’s experiences with research and teaching in a real-life museum context by experimenting with the notion of the teaching museum in a virtual context. 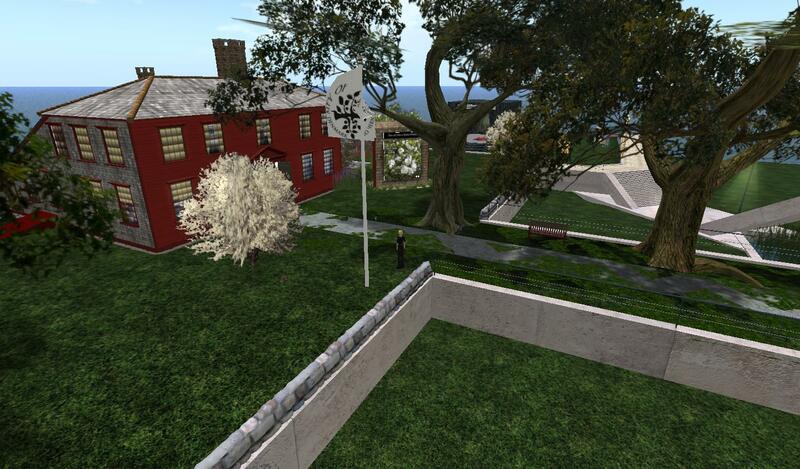 Perception and Reality in – and out – of Second Life; Second Life as a Tool for Philosophical Reflection and Instruction at the University of Southern Denmark. Percipitopia: An Educational and Research Tool Utilizing Digital Content Creation and Textual Reappropriation in Second Life. As an added bonus, the tour will be concluded by teleporting to Mercantec-SL in order to see how the needs of this sort of educational institution may be met in Second Life. Bitterleaf Menges – who is responsible for the look and feel of SDU-SL’s main campus – has just put the finishing touches on Mercantec-SL. We have to meet Gunhild and Bitterleaf at 20:00 (11 AM SLT) at the town square in Wonderful Denmark to socialize and test sound settings – see in-world notice for further landmarks and info. If only Danish-speaking avatars show up, the tour will be conducted in Danish; if any English-speaking avatars are present, we will be happy to conduct the tour in English.